For most of the last decade, Los Angeles has been a seller’s market. Since 2012, when housing prices began to recover from the Great Recession, competition among buyers has been fierce and real estate values in the area have ascended rapidly. But market analysts and real estate agents say those trends are changing. Home prices have leveled off in recent months, and the number of overall sales is far below the historical average. Compass realtor Emily Bregman, who specializes in Westside properties, agrees that the market is shifting. Aaron Terrazas, director of economic research for Zillow, tells Curbed that a wave of millennial buyers that energized the national real estate market in recent years appears to have crested. “There are still millennial buyers out there, but that big pressure that built up as they moved from renting to buying has passed,” he says. Part of that is because home values have risen so much that many would-be buyers are simply priced out of the market. That’s particularly true in Los Angeles, where wages lag far behind housing costs. 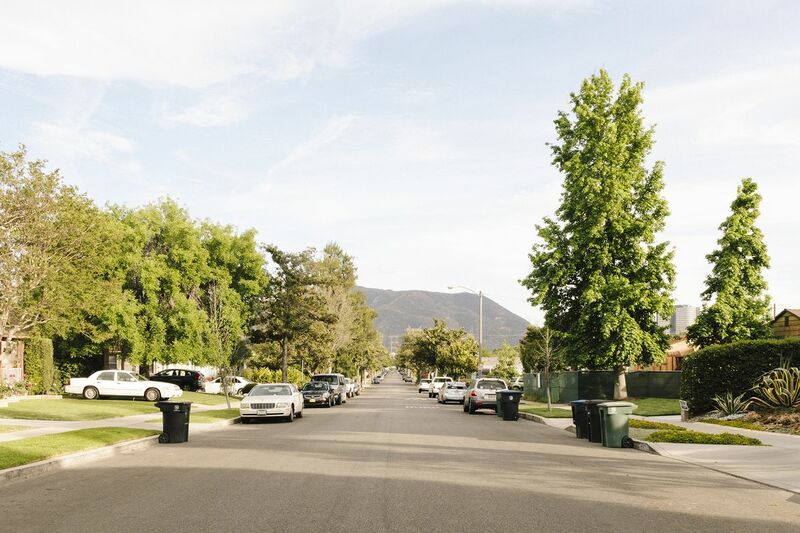 Housing affordability in LA hit a 10-year low in 2018, with the cost of a monthly mortgage amounting to nearly 75 percent of the median income in the area, according to a recent report from real estate tracker Attom Data Solutions. Affordability woes could worsen nationwide in 2019, depending on what mortgage interest rates buyers get when taking out a home loan. Even a small change in rates can affect the type of home buyers are able to afford. Interest rates climbed throughout 2018, then dropped dramatically in the final weeks of the year. At present, rates for a standard 30-year mortgage stand at roughly 4.5 percent. That means that, given a 20-percent down payment, a monthly mortgage payment for a median-priced ($600,000) home in LA County would be $2,432 (not including property taxes or insurance). But if interest rates rise to 5 percent in 2019, as many analysts expect, that monthly payment would rise to $2,577. At 5.5 percent, the payment would be $2,725. Those extra dollars add up. A recent report from Zillow finds that just 17.2 percent of homes in the Los Angeles metro area are affordable to buyers who earn the median income. Already a discouraging statistic, that share drops to 12.8 percent if rates rise to 5.5 percent. Fortunately for buyers, Terrazas predicts rates won’t climb quite that high in the coming year; he says an increase to between 5 and 5.25 percent is more likely. Home values are also expected to inch up at a more modest pace in the year ahead, though Terrazas notes that more competition for homes with smaller price tags could make values rise faster at the lower end of the market. “As affordability gets stretched, more affordable homes will become more desirable,” says Terrazas. That means buyers with bigger budgets will have a definite advantage when shopping for a home. Those with less to spend may have to get creative. Bregman says at the higher end of the market, sellers will have to “readjust their numbers” when considering the value of homes that aren’t in “A-plus” condition. Fewer buyers means there’s more room for shoppers to be picky. Further complicating the outlook for the year ahead is the specter of a future recession, which some economists predict will hit in 2019. Terrazas says it’s unclear how a recession would affect Southern California’s housing market, but argues that homeowners probably won’t see the value of their properties plummet, like in 2008. “So much depends on what prompts the recession,” he says. Because risky home mortgages fueled the Great Recession, the real estate market took an outsize hit when the economy tanked. But banks today are far more conservative when making home loans, making a real estate market collapse unlikely. Terrazas says both buyers and sellers holding out for a sudden shift in the market may be disappointed. Bregman agrees that buyers and sellers will need to deliberately consider real estate moves in the new year. “Everyone will need to be a little more careful,” she says.